Do you love your dogs but can't include them in the ceremony because you are having a destination wedding? No problem! 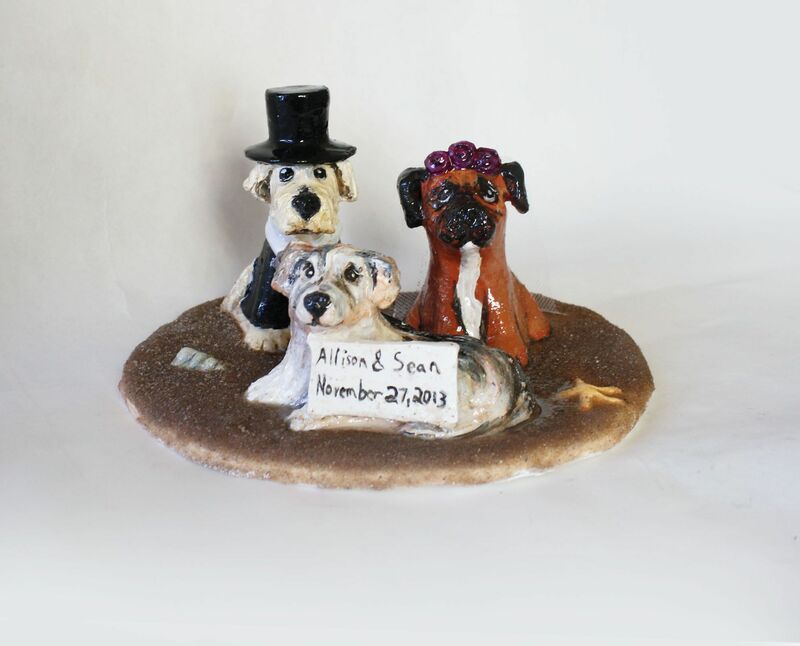 I can make you a cake topper of your furry friends so they can join you where ever you are. I can even incorporate real sand into the base if you like.